I was so excited about the whole concept I couldn’t wait to go to the grocery store and see what they had. Well, the whole idea had to have been karma, kismet, destiny, whatever because on the grocery shelf, in the baking aisle , in front of me was Caramel Apple Pie Filling. I did a little happy dance right there in the middle of the Kroger aisle. Next stop was the liquor store to purchase some kind of liqueur that would compliment the caramel apple pie flavoring. The only apple flavored liquor I knew of was Calvados, its a brandy and we have some at home. That stuff is HORRIBLE and no way was I going to ruin a delicious creamy no-churn ice cream with what I considered rot gut. So I asked the proprietor if he had any small bottles of apple liqueur. He didn’t but he did have tiny bottles of whipped cream vodka. Well, I thought that should work. I had used vanilla vodka for our No-Churn Strawberry Ice Cream and it tasted delicious. So home I went with my two little bottles of whipped cream vodka and my caramel apple pie filling. First thing I did once I got home was stick the beaters and bowl into the freezer to get nice and chilled. I opened the can of caramel apple pie filling and dumped it into another bowl. I took a knife and cut the pieces of apples into chunks rather than slices. Next I added the can of sweetened condensed milk to the caramel apple pie filling and mixed. Next came the two little bottles of whipped cream vodka — about 1/4 cup and mixed. I then whisked in about 1 teaspoon of apple pie spice and put the bowl into the refrigerator to get the mixture good and cold. About 30 minutes later I poured the heavy whipping cream into the bowl that had previously been in the freezer. I whipped the cream until it was nice and firm, but I was careful, so I didn’t want to over beat and end up with butter. Once the cream was at that perfect stage, I gently folded it into the cold apple mixture. Okay . . . now was the time for one of the most important steps — the quality control taste. 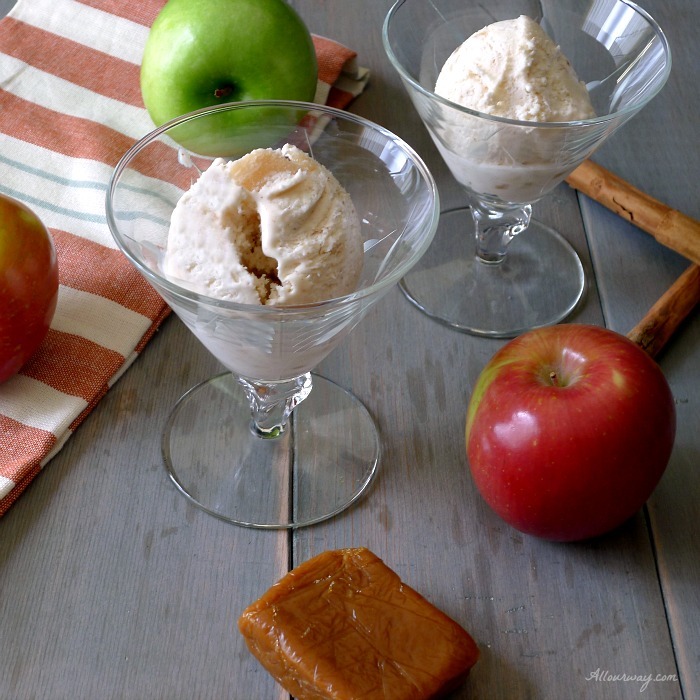 Honey and I each grabbed a spoon , dipped them into the Caramel Apple Pie No-churn Ice Cream and took a taste. Our eyes opened wide in wonder and I swear we heard the choir on high singing praises to that wonderful creamy dessert. We thought if it tasted this good now, wonder of wonders, what would it be like after the flavors melded? Our one grandson said it tasted like Christmas. You can’t get better than that!! 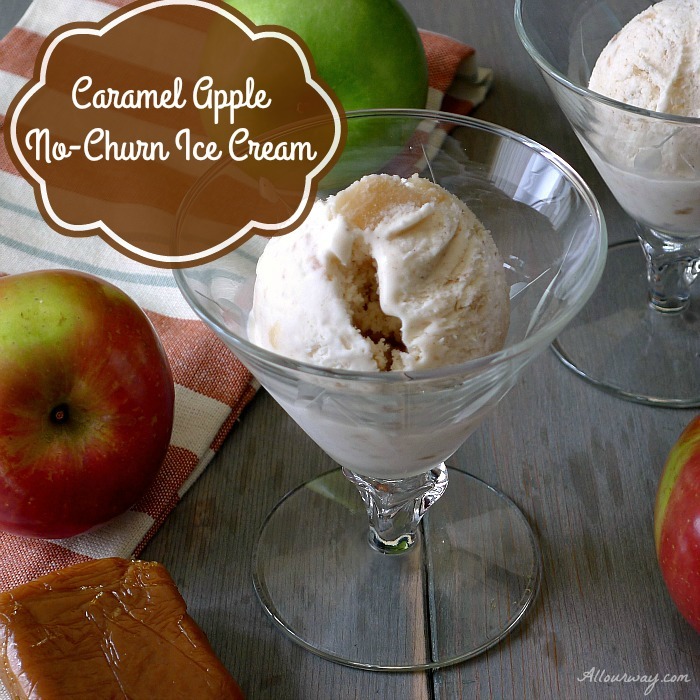 A easy creamy no-churn ice cream with the wonderful taste of caramel apple pie but with out the crust and fuss. 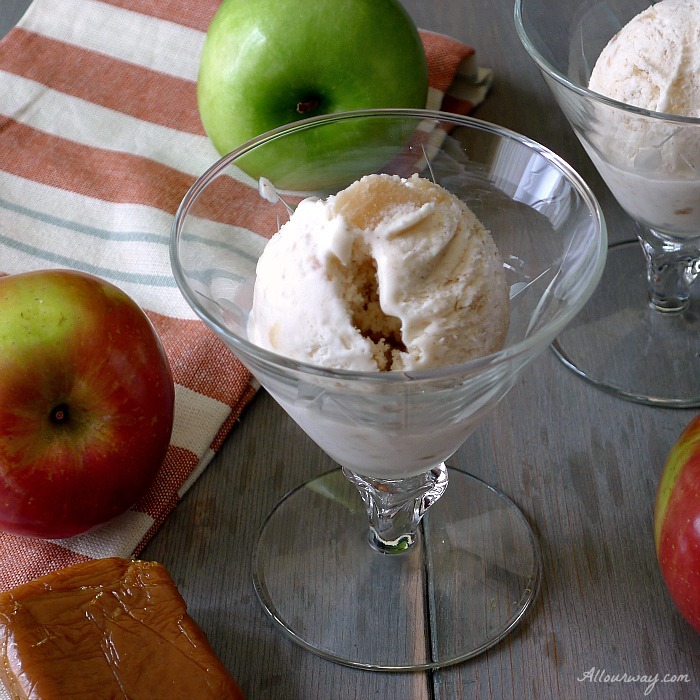 It is made with canned caramel apple pie filling. Pour the caramel apple pie filling into a bowl and cut the slices into chunks. Mix the filling, the sweetened condensed milk, and flavored vodka or liqueur, apple pie spice in a bowl and chill. Using the same beaters slightly whip the chilled caramel apple pie ingredients slightly. Fold the whipped cream into the caramel apple pie ingredients until mixed. Don't stir! Fold! Put in containers and freeze. Makes about 2 quarts ice cream. ** Add additional apple pie spice if you like a stronger flavor. ** Use to your taste. The alcohol helps to act as an "anti-freeze" so that the ice cream doesn't get too hard. If you prefer, you can eliminate the alcohol and add 1 -2 teaspoons vanilla extract. Just give the ice cream a little time out of the freezer before scooping out portions. What a great combination of flavors! I can not wait to make this for the holidays! Jillian your holiday diners will enjoy it! Our whole family loved it as well as the Cherry Almond Amaretto ice cream. Caramel ice-creams are one of my favorite! Thank you, Elaine! It is so good and easy! Hi! You can skip the alcohol but the ice cream has a tendency to freeze harder. The alcohol helps to keep the ice cream a little softer. Are you against any alcohol or that particular vodka? This recipe is one for the books. 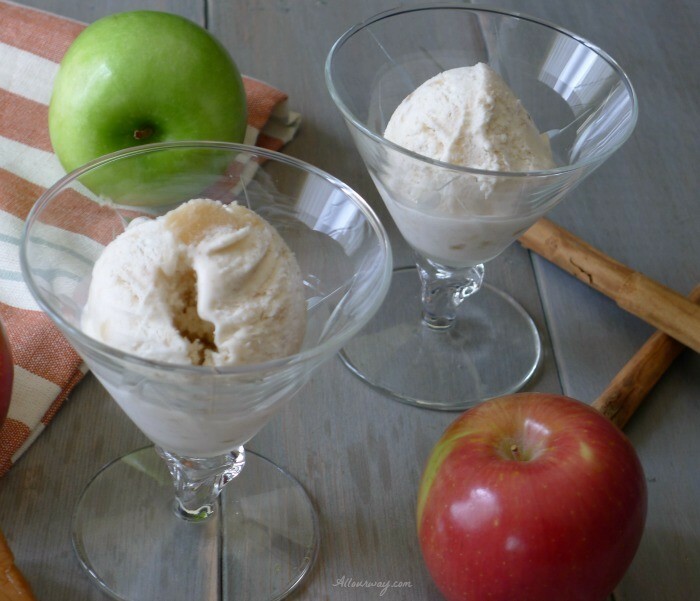 I have two boys that can’t eat enough apples and this ice cream would be devoured in no time. 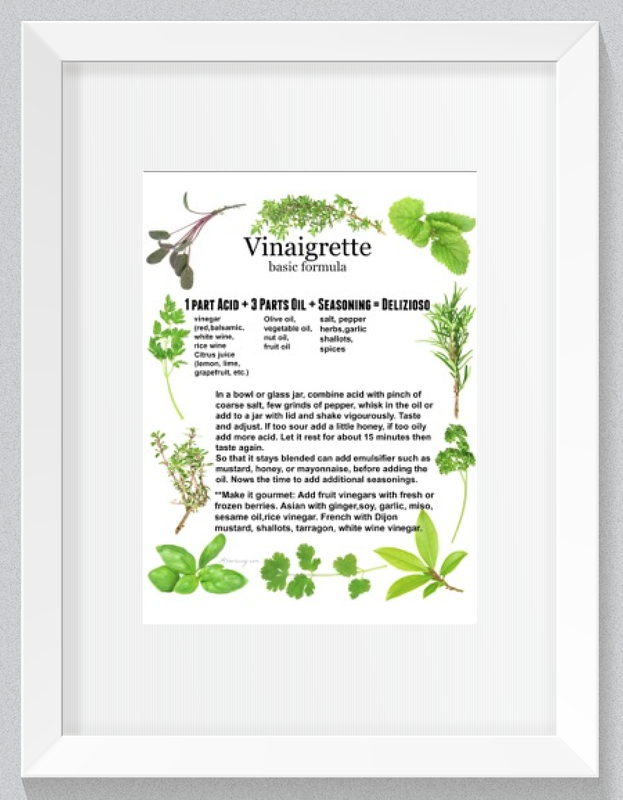 Might have to sub in the vanilla extract though…looks delish! Hi Ali! Your boys will love the ice cream — it is so easy to put together and the taste is incredible. Thank you KariAnne! As far as I’m concerned it doesn’t matter what season we’re in, ice cream is always good!! Oh my heavens, Marisa!! I read this post outloud to my husband, because I couldn’t get over how amazing this sounds. Love your description. Sounds heavenly!! Thanks for sharing another great one with us!! Hi Suzanne!! I can picture you conjuring all types of delicious flavors and combinations — you are fantastic at that. And I am sending big hugs right back at you!! Sounds absolutely amazing Marisa, as far as I am concerned anytime is a good time for ice cream. Have a great week. 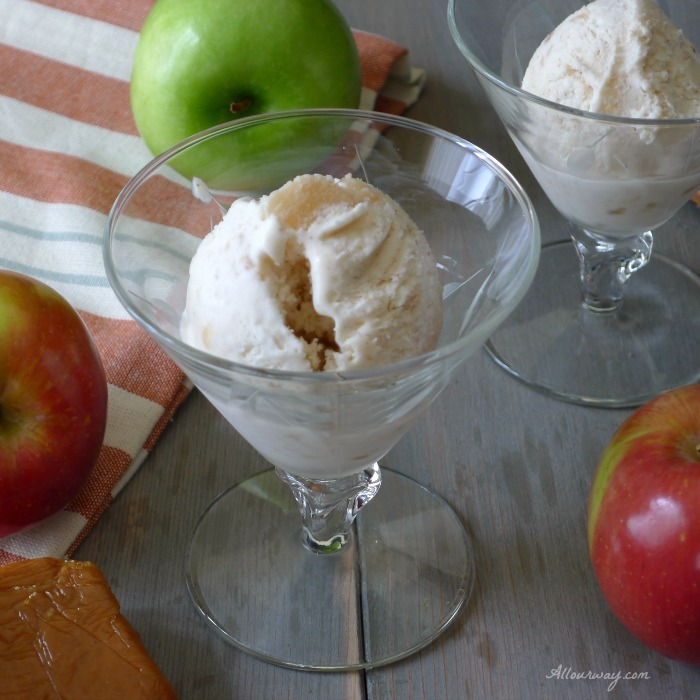 I have never made ice cream before….but apple pie and ice cream are the classic combo….so this sounds like a winner!! Thank you Gloria — It is incredibly good and so very easy! This ice cream looks so delicious! I agree with your grandson, it must taste like Christmas! What a fun idea! And no-churn?! Event better. Our kids will love this ice cream; I’m pretty sure the parents will as well!! Thanks for the delicious idea! 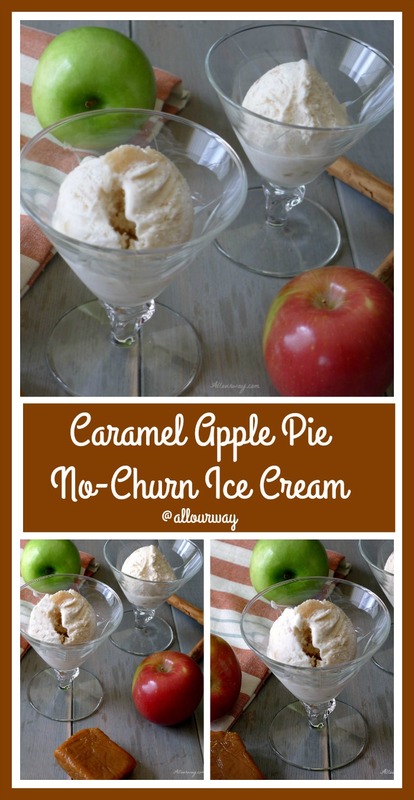 Wow apple pie flavor – how creative. I have never had ice cream with this flavor. You really out did yourself in creating this recipe. I am looking forward to trying this. Hi Jovina! I am now going to start looking very carefully at the pie fillings. Perhaps I could even add fresh fruit along with it. My mind is spinning. Let me know how you like it. a delicious dessert, yummy !!! Thank you Chiara — it was delicious!